Our story began 17 years ago with a chance encounter onboard a yacht in Maldives. Discussions were had, decisions were made, custom designs were created and finally after after a year of construction, in 2002, Maldiviana Diving Safari was launched. 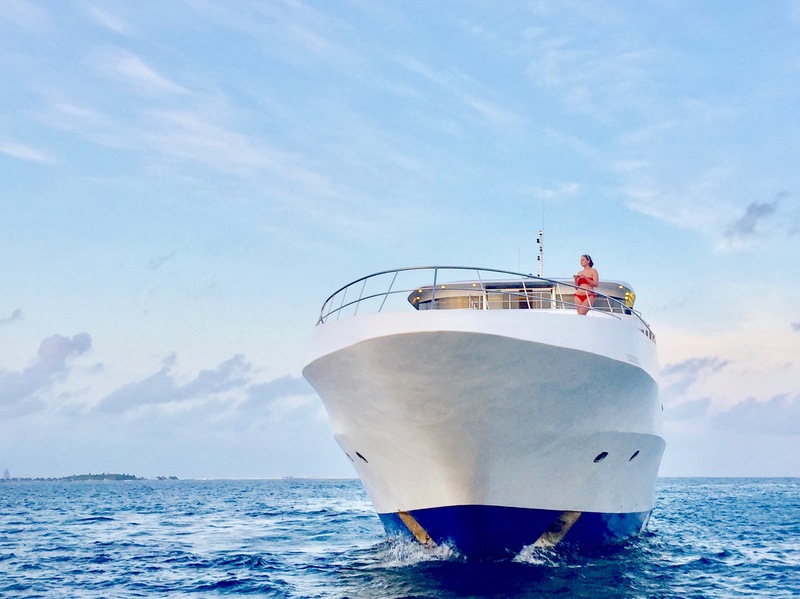 With an experienced and dedicated team, we have grown to become one of the most successful travel companies in Maldives. These past 15 years also lead us to believe that a newer and bigger sister to Maldiviana Diving Safari was needed. 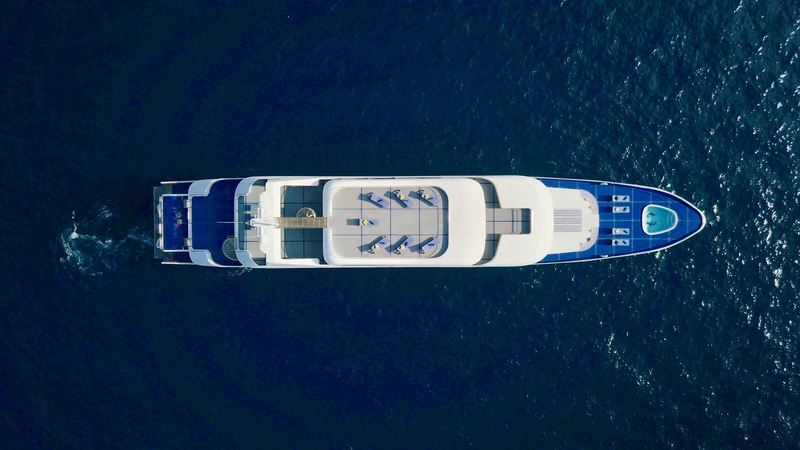 After years searching, sea faring, and renovating, we finally launched Ritrella Cruise Hotel in 2017. 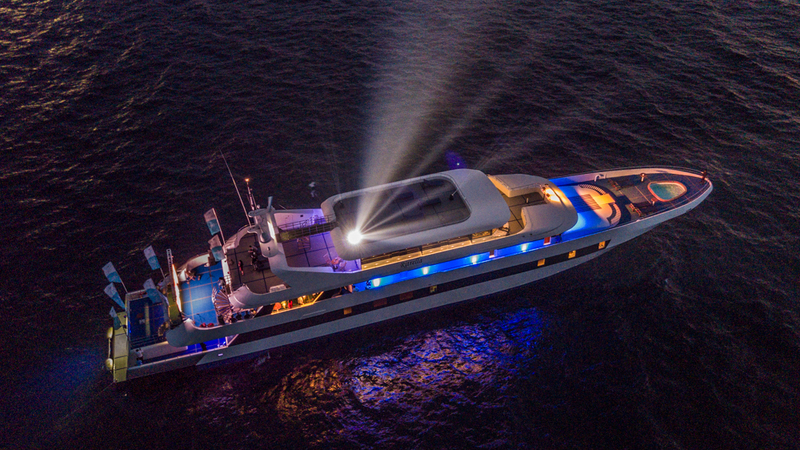 Ritrella Cruise Hotel is currently the biggest cruising yacht in Maldives. 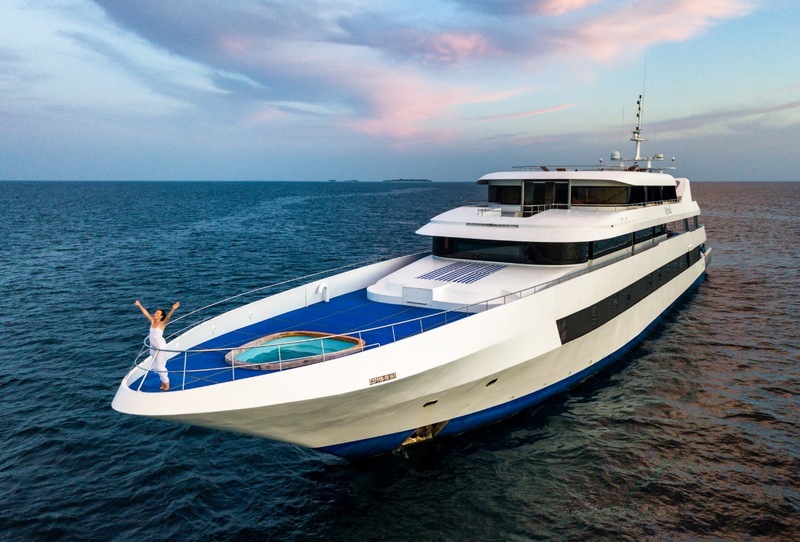 At 58m in length, 5 decks, 2 bars, 25 cabins and a restaurant and a swimming pool, Ritrella is worthy of being the sister of Maldiviana Diving Safari. Deluxe Cabins are designed with privacy and luxury in mind. With private balconies giving you an unobstructed view of the best Maldives has to offer, our deluxe cabins have everything your heart desires. Join us onboard an adventure you will never forget! Superior Cabins will make you forget about all your worries. Designed for comfort and convenience, the Superior cabin spares no expense. A cozy Double Bed, stocked mini-bar, high speed Internet, renovated bathrooms, comfortable furnishings and a view that keeps changing every day await you! Standard Cabins are perfect for sharing! Designed for comfort and convenience, the Standard Cabins come with twin beds. Two cozy single beds, stocked mini-bar, attached bathrooms, comfortable furnishings, and a smart tv to keep you and your friends entertained all night! Relax and rejuvenate yourselves! Experience the ocean breeze as you get yourself pampered. Let all your stress float away, our spa therapists are well trained in the art of relaxation. ​Our treatments are specially developed to suit the purpose of relaxation for body and mind while on vacation. We have combined the best traditions of Ayurveda with Aromatherapy and modern massage techniques to create a unique experience. The pleasurable scents and the relaxing music of the ocean will put the mind to rest.